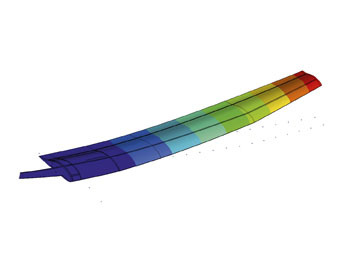 Altair provides a comprehensive set of tools to design, analyze, and optimize your composite material structural parts and assemblies for laminated, chopped fiber, and particulate composites. 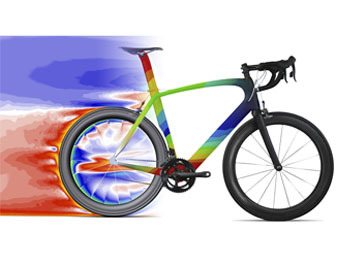 Specialized Wins at Le Tour de France with Altair HyperWorks Learn how Specialized analyzed and improved the aerodynamic performance as well as optimized the weight and structural efficiency of the new S-Works Venge frame. 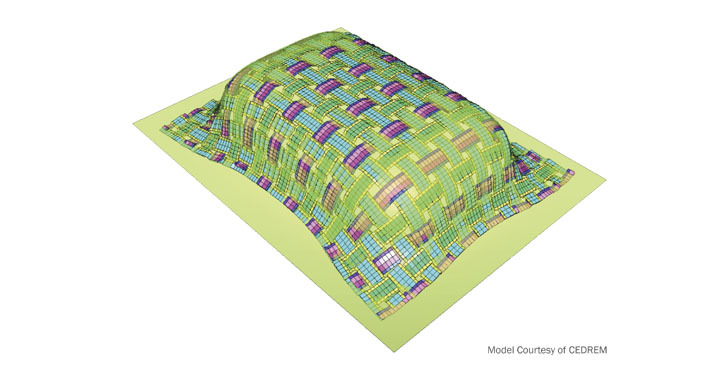 Composite design synthesis with OptiStruct allows the numerous design variables to be handled in an efficient manner to develop truly optimized composite designs. This method allows designers to quickly develop a composite detailed design that will meet performance and safety specifications. 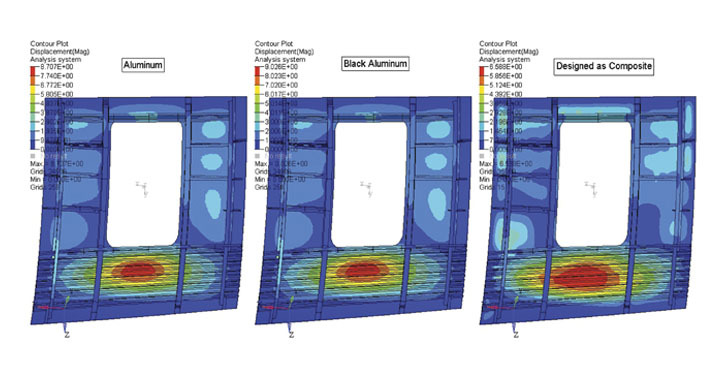 Altair’s latest addition ESAComp is a software for analysis and design of composites. Its scope ranges from conceptual and preliminary design of layered composite structures to advanced analyses that are applicable for the final verification of a design. ESAComp has a vast set of analysis capabilities for solid/sandwich laminates and for micromechanical analyses. HyperWorks integration allows users to perform advanced failure criteria to structures using ESAComp, and to visualize the failure results’ contours in HyperView or through the thickness plots in ESAComp. 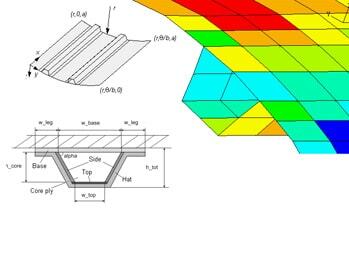 CoDA from Anaglyph enables concept designers to study potential composite materials, beam and plate sizes and thicknesses, and support conditions to be selected for further detailed investigation. Generating and evaluating an FEA model with composites adds another dimension to the pre- and post-processing requirements, which is efficiently handled in HyperMesh and HyperView for all leading FEA solvers. 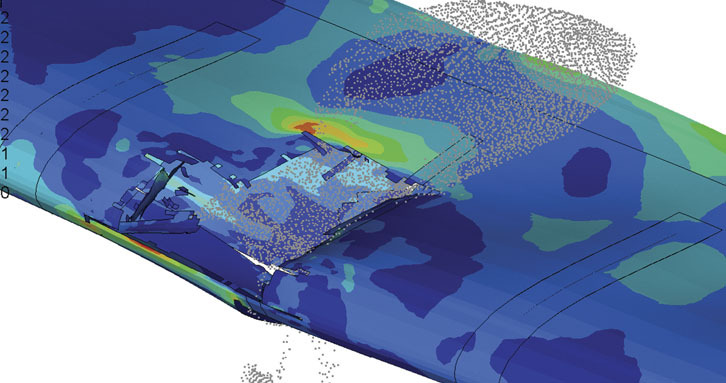 Analysis can be carried out in OptiStruct for linear and non-linear structural problems under static, dynamic and thermal loadings, and RADIOSS for highly non-linear problems under dynamic loading and results can be post-processed in HyperView. 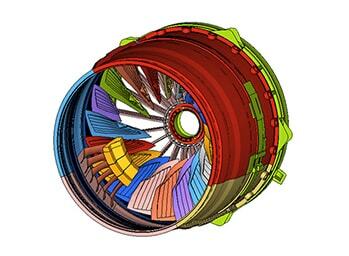 The Altair Partner Alliance provides HyperWorks users access to additional composites analysis software. LAP from Anaglyph is used to analyze any type of composite laminate subjected to in-plane loads and moments. 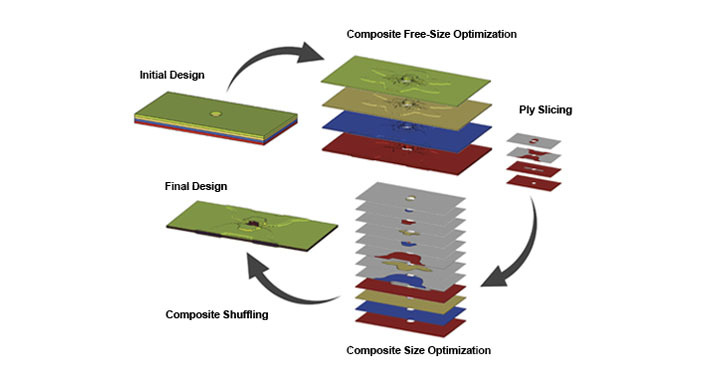 LAP is used in preliminary design for tailoring a stacking sequence, then analyzing the composite component with other methods such as finite elements, and finally optimizing the design by inspecting the laminate behavior layer by layer. 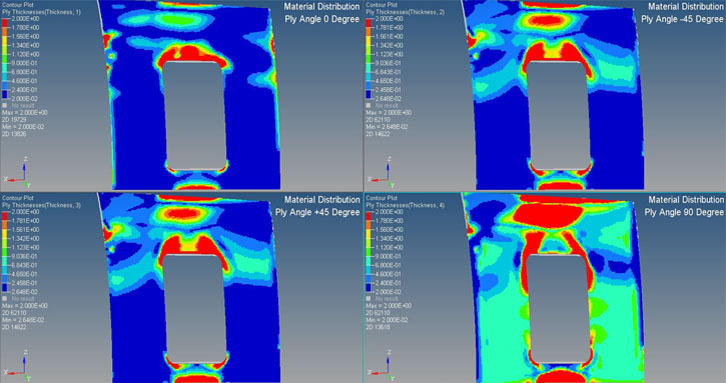 StressCheck from ESRD is a comprehensive finite element analysis software tool that support advanced solution methods in linear elasticity, multi-body contact, geometric and material nonlinearities, modal and buckling analysis, fracture mechanics, laminate composite analysis, and steady state heat transfer, including temperature-dependent material properties and radiation. HyperMesh provides an interface to Analglyph’s Laminate Tools to simulate composite draping effects for highly curved surfaces. The interface enables users to quickly review and export flat ply-shape geometries and changes in ply-thicknesses or orientation due to draping. The tool is not part of the partner alliance and needs to be purchased separately. 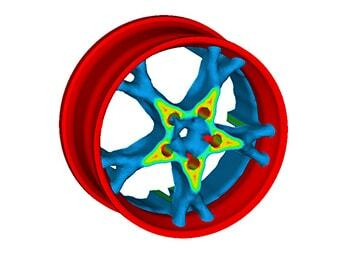 Multiscale Designer includes solutions for micromechanics, microstructural optimization, and life prediction of complex materials which integrates modeling, simulation, testing, uncertainty quantification, and optimization of composite materials and structures at multiple spatial and temporal scales. 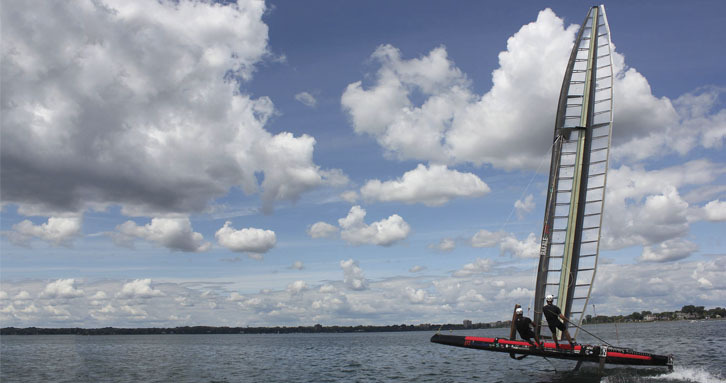 The Altair Partner Alliance provides HyperWorks users access to additional micromechanics software. CONVERSE from PART Engineering bridges the gap between injection molding simulation and mechanical simulation. 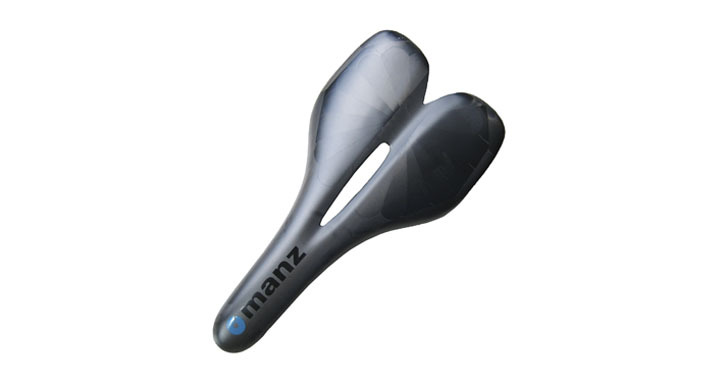 It leads to significantly more reliable results with regard to stiffness and strength of short-fiber-reinforced injection molded parts, as well as more realistic simulation of the thermo-mechanical behavior of molds and inserts. Users can create material cards for OptiStruct, which include the degree of orientation dependent anisotropic material data for short-fiber-reinforced plastics. KTex Family from CEDREM is a set of tools dedicated to modeling composite materials precisely at the scale of the yarns. KTex Family simulates composite processes, automatically calculates mechanical properties of a given weave and generates associated cards for RADIOSS and OptiStruct. 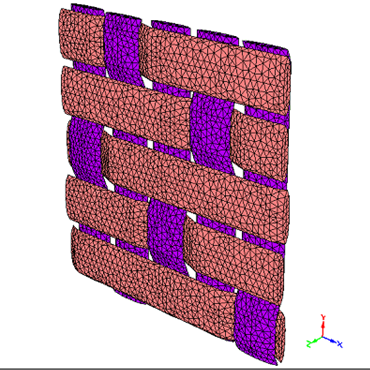 MultiMech from MultiMechanics is a complete software package for multiscale FEA of composite structures. 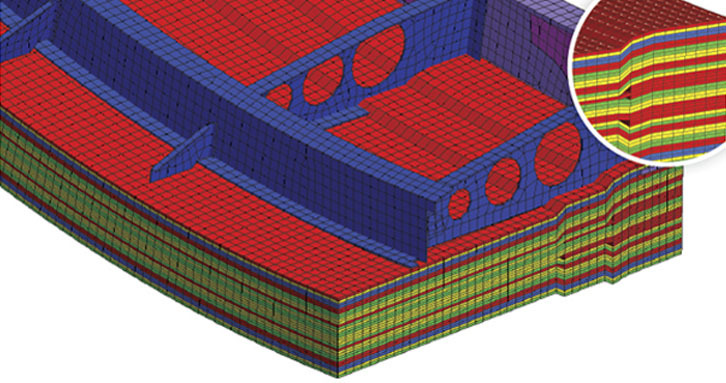 It includes a two-way coupled implicit/explicit finite element solver and microstructural FE model generator.